Can Nature be Marketed as a Brand, for the Good of Children? A billboard campaign backed by the NHS, and the National Trust launched this week (September 3rd 2012) is aiming to persuade one million children to buy-in to the brand of nature and to enjoy its benefits more often. Running the campaign is filmmaker David Bond, who has appointed himself Marketing Director for Nature, and whose campaign is the subject of a new documentary film called Project Wild Thing, which will play in cinemas nationwide from early Summer 2013. The film features Bond talking to numerous experts about his challenge of marketing the wonders of nature, including UK brand consultant and author Simon Middleton, head of brand consultancy firm Brand Strategy Guru. The brand for nature project challenges parents and children in towns, cities and the countryside across the UK to leave behind the cosy indoors and get outside into the wild. A billboard campaign backed by the NHS, and the National Trust launched this week (September 3rd 2012) is aiming to persuade one million children to buy-in to the brand of nature and to enjoy its benefits more often. 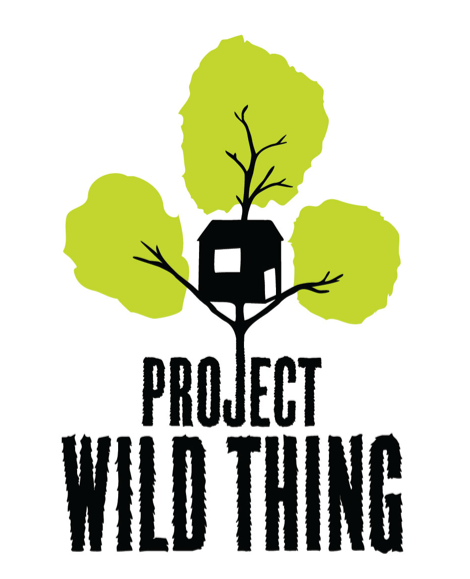 Running the campaign is filmmaker David Bond, who has appointed himself Marketing Director for Nature, and whose campaign is the subject of a new documentary film called Project Wild Thing, which will play in cinemas nationwide from early Summer 2013. The film features Bond talking to numerous experts about his challenge of marketing the wonders of nature, including UK brand consultant and author Simon Middleton, head of brand consultancy firm Brand Strategy Guru. The billboard campaign, the first of its kind, will cover the whole of the UK for two weeks, in hundreds of sites. The aim of the billboards is simple: to get people to spend more time outdoors. 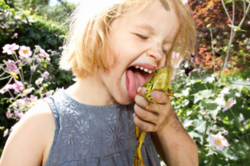 The poster depicts a young girl, Ivy Bond, licking a frog, with the caption, “Get Into Nature”, along with a link to the campaign website - http://www.projectwildthing.com. Middleton commented: "I am clear in the film that David has set himself a huge task, but his campaign is imaginative, engaging and heroic." The British feature-length documentary is being produced by film company Green Lions, in conjunction with the Channel 4 BRITDOC Foundation. It is due to be released nationwide in cinemas in Summer 2013. The project challenges parents and children in towns, cities and the countryside across the UK to leave behind the cosy indoors and get outside into the wild. With the help of advertising and marketing experts, Bond’s goal is to persuade one million children of the benefits of Nature – an amazing, free, wonder-product – in just two weeks. “According to UNICEF we are raising the unhappiest kids in the developed world. Fewer than 10% of children play in wild places, compared with 50% a generation ago, kids roam far less and half of kids have been stopped from climbing trees, and 20% from playing conkers or tag. “The lure of the indoors – with TV, the internet and computer games – is creating a generation that has no connection with the natural world. My kids are 3 and 5 and they scream if I switch off the TV. I’m now fighting to get my kids back before it’s too late. I’ve spoken to teenagers across the UK many of whom say, ‘Why would I want to go outside – staying indoors is much more fun’. I don’t want to hear that from my children.